Sony's Spider-verse is growing fast, and part of that expanding family is a little movie about a highly impressionable pile of alien goo who finds a humanoid buddy and changes his life, for better or worse. And no, it's not the movie version of the NES classic A Boy and His Blob. Though that title would have worked too. 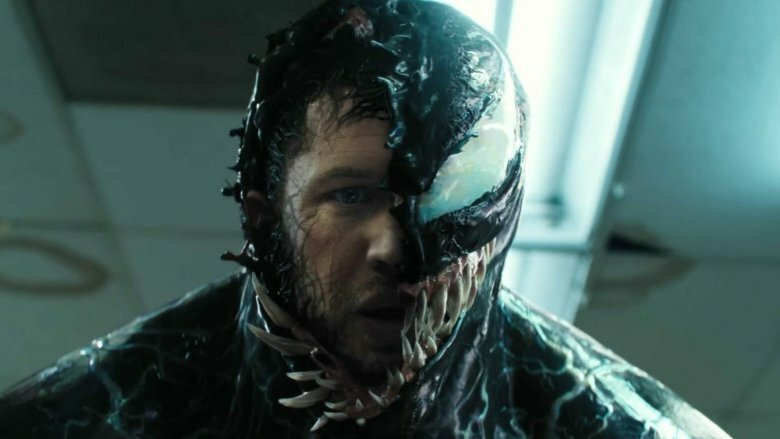 While critical response to Venom has been uneven, the action-packed film was pulled straight from the pages of Marvel's most gloriously 1990s comic books, wonderful warts and all. Viewers may argue about whether that's a good thing, but while everyone else is bickering about how far the planet Klyntar is from Earth, true comics fans were scouring every frame for hints about the larger Spider-verse, and whether or not Venom tied into the greater MCU at large. Keep reading to find out what we caught — and don't worry, it isn't a parasite. Within the first few moments of Venom, we see a spaceship piloted by some ill-fated members of the Life Foundation plummet to Earth uncontrollably, thanks to the chaos created by a weird alien symbiote that apparently couldn't wait until the ship was a little closer to the ground to make its great escape. As local rescue workers dig through the wreckage, they find an astronaut named Jameson. While there's absolutely no more context given about who this guy might be, there's only one astronaut named Jameson in Marvel Comics: John Jameson, the son of Daily Bugle publisher (and occasional mayor) J. Jonah Jameson. 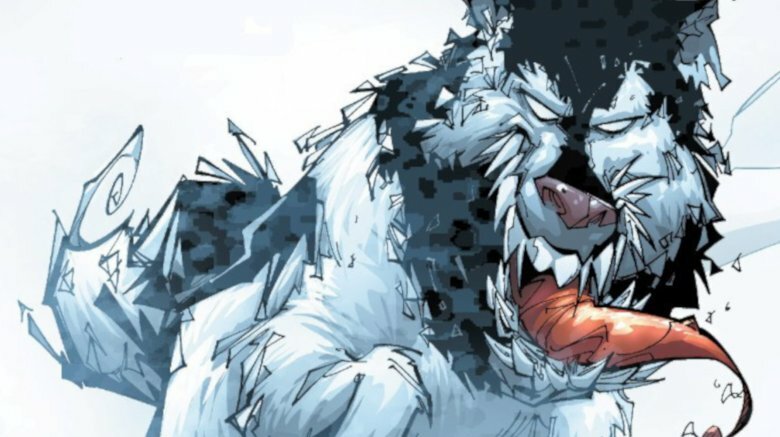 John has a much larger role in the comics than being a busted-up corpse, as he spends some time as the mighty Man-Wolf, and later, Stargod. 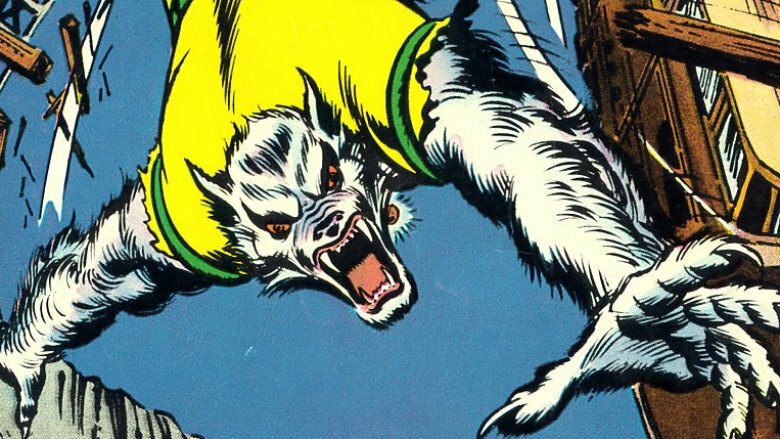 Seeing Man-Wolf appear in Sony's rumored Morbius movie would be a Halloween treat better than a bowl of unguarded king-sized Twix, so let's hope that this was just some lesser astronaut also named Jameson. Eddie Brock's old employer, the Daily Globe, isn't just some off-brand name tossed into Sony's Spider-verse to avoid continuity entanglements with Spider-Man's paper of choice, the Daily Bugle. 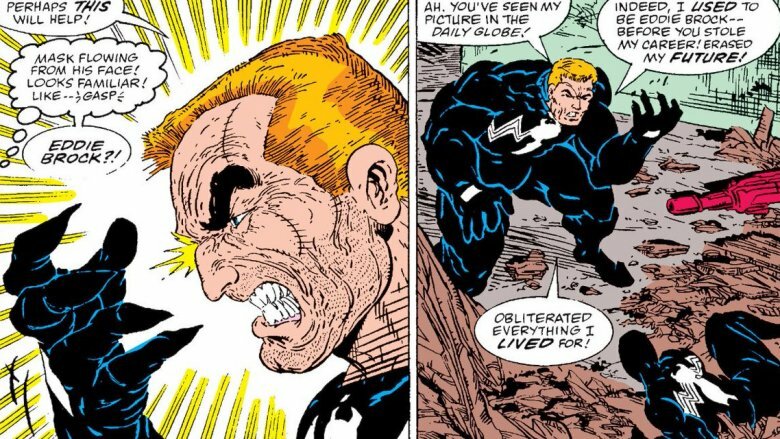 Within comic continuity, the Daily Globe is the very place the Eddie Brock is fired from after he completely biffs a story on the Sin-Eater. While the Daily Globe is only mentioned once, as Anne is politely reminding Eddie of his checkered past over dinner, it does come up again later as Eddie tirelessly searches for work. One of the people he texts is Barney Bushkin, the publisher of the Globe, who probably fired Brock in the first place for his unspeakable, unspoken crimes against journalism. Bushkin, not unlike Spider-Man, carries a long-running grudge against rival publisher J. Jonah Jameson, going as far as abducting him with a robot and threatening him with a gun in Peter Parker: The Spectacular Spider-Man Annual #1. Yes, the gun only squirted ink, but Bushkin is clearly not a guy to mess with. 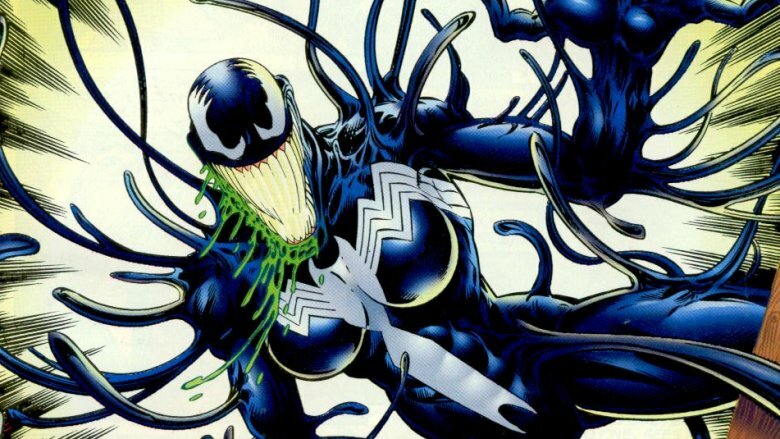 Once the name "Anne Weying" popped up on Venom's cast of characters, symbiote enthusiasts the world over wondered if she'd just be Eddie Brock's long-suffering ex-wife, or if she'd slip into something more slithery herself. She-Venom fans rejoice, because as part of the detached symbiote's journey back to re-bond with Eddie Brock after an impromptu separation, Anne Weying does indeed appear as an almost comic-accurate female version of Venom. That's not a good thing, though. In the Venom : Sinner Takes All miniseries, the symbiote bonds with her to save her life… but also takes her on an incredibly violent killing spree. Eddie, ever supportive, assures her that she was probably more responsible than Venom for the mess. So by the time Amazing Spider-Man #2 comes around, the memory of the experience is so traumatizing that she climbs a building and leaps to her death. Movie-Anne's reaction isn't much more than mild revulsion, but come on, there are rockets to stop to save humanity. Think big picture. 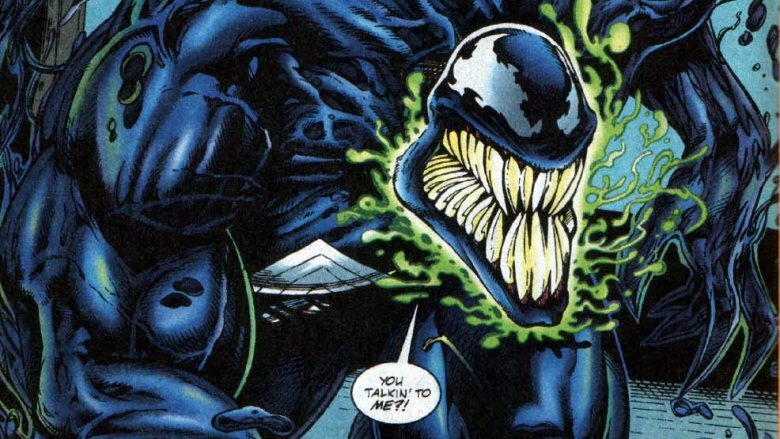 Venom has a pretty healthy appetite, which includes tater tots both frozen and burnt, trash chicken, live lobsters and dogs, and human organs. So it may come as a small surprise when Venom asks for chocolate at the end of the film, but yes, it's canonical. In the Venom: The Hunger miniseries, Venom expresses a distaste for normal, human food, and his hunger for human brains awakens. It's not just a decidedly gritty 1990s comic book choice, it's science. The thing that the Venom symbiote actually craves from brains is phenylethylamine, a human neurotransmitter and a mood elevator. Coincidentally, that organic compound is also found in chocolate. It's not as though every time you crack open a Hershey's bar, you're actually tasting brains, though. Organic compounds are in just about everything, so we're just lucky that Venom could satiate his cravings without popping off a few noggins. The compound also happens to be in various types of shellfish, so those raw lobsters were a pretty good choice. Phenylethylamine also protects against certain types of e. coli bacteria, so it's a little less likely that Venom will get food poisoning from all that absolute trash he's eating. It's no surprise that Stan Lee makes one of his trademark cameos in Venom. In case you're some kind of space-faring pile of slime and this is your first day on Earth, Lee was the guy walking the dog near the end of the film, advising Eddie Brock to, more or less, buck the heck up about the girl who didn't totally love him back. Stan is more or less a minor hero in the MCU, as well as the Spider-verse, keeping children safe on school buses, delivering the mail safely, and even keeping poker chips safe for easily distracted heroes. He's so great that he has stories to tell the Watchers, who literally know everything that ever happened or will happen in the Marvel Universe. The only thing that falls short about this great, heroic cameo? They could have named his tiny dog Ms. Lion, one of Marvel's least-appreciated canine heroes. And of course, there's the end-credits appearance of Cletus Kadasy, played with creepy abandon by Woody Harrelson, who's writing words in the wall with his blood like Marilyn Manson is back in style again. Comic fans already know that Kasady becomes Carnage, a villain of just about everyone in the Marvel Universe. The jury seems out on whether a wandering leftover symbiote found its way into Kasady by the end of Venom, though it stands to reason that if something as wickedly powerful and impulsive as Carnage was inside a murderer with similar self-control problems, he wouldn't be quietly sitting in a cell, bound by fabric straps. The symbiote's signature move is having razor-sharp blades for hands, not unlike the ones Riot demonstrates earlier in the film. Harrelson has indicated that he'll be back to mess around in the world of Venom again, and with Tom Hardy's three-picture deal as the titular anti-hero, it's probably a pretty safe bet. 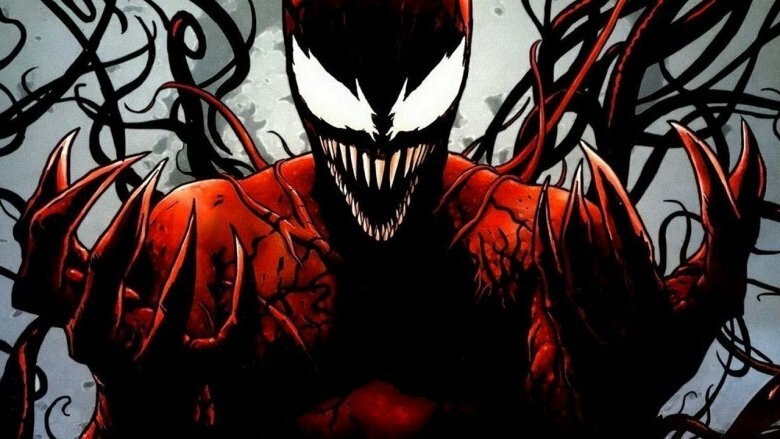 If Sony is making movies that feel like a deep dive back into the time when pogs ruled the Earth, a villain made entirely of stringy veins and blood is pretty much a necessity. One of the most important questions that Venom actively refused to answer was if the film tied into the greater Marvel Cinematic Universe, and the answer is nobody knows. Yet. Rumors of a Spider-Man appearance were squashed by the end of the film's premiere, and the wall-crawler wasn't even mentioned in the film, nor were the world-altering events of any of the times the Avengers destroyed large cities… which would surely be ongoing news that a reporter would be really, really interested in. The movie presumably happens in current times too, since Sony doesn't hesitate to flash their fancy smartphones around. Of course, all bets are off on this being a reality with a technological timeline that matches our own. Or maybe it happens in a distant future after The Snap is resolved and no one is the wiser. Or maybe, just maybe, Sony is wisely avoiding the complicated entanglements that creating a massive shared universe can cause. Of all of the Easter eggs fans were searching for, this one came up a big, fat goose egg. For now, Eddie Brock and his sassy symbiote sidekick, who has by movie's end learned about the power of love, can exist in their own little pocket of movie history. And that's okay. 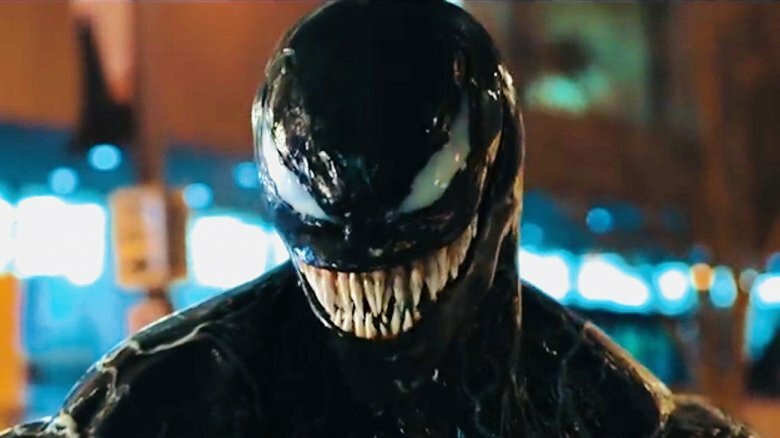 One thing is very clear in almost every scene of Venom: the people involved with making the movie, like director Ruben Fleischer, have clearly read the comic books. In fact, rarely has a comic book movie packed in so many specific references to comic book stories, covers, or even specific panels. Some of it is pretty obvious, like the fact that the Life Foundation was front and center in a number of plotlines involving the alien symbiotes. But there's plenty beyond that. For instance, the idea that the Life Foundation's original goal before turning to space travel was to cure cancer comes from the origin of the Ultimate universe Venom. Then there are specific sequences. The scene where Riot rips Venom out of Eddie's host body? That's an almost exact re-creation of the cover of Venom: Carnage Unleashed #3. And there are even specific lines of dialogue borrowed from the comics, like the line "Eyes, lungs, pancreas. So many snacks… so little time," which originally appeared in the pages of Amazing Spider-Man #374. 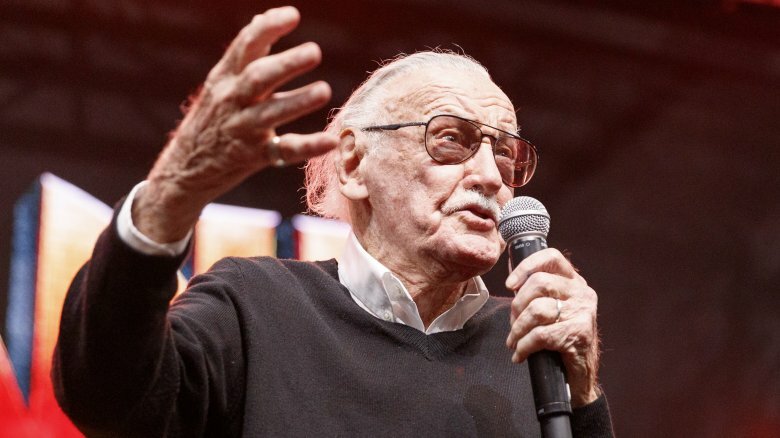 Beyond the obligatory — and always welcome — cameo from Spider-Man co-creator Stan Lee, Venom featured all sorts of references to the writers and artists who made the film possible to begin with by creating the characters and stories. Some of the references are more obvious than others. For instance, most comic book fans probably noticed when Anne mentioned that she worked for the law firm Michilenie and McFarlane. 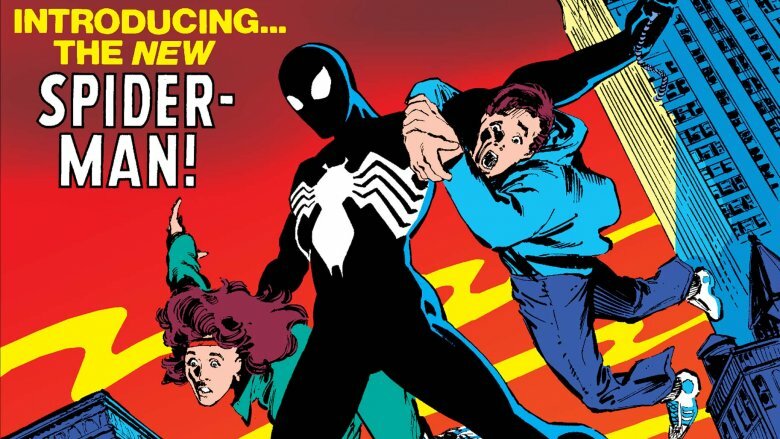 Those names, of course, belong to writer David Michilenie and artist Todd McFarlane, who co-created Venom in Amazing Spider-Man #299. But some are more obscure. Near Eddie's Chinatown apartment, for instance, a sign in the background in the final scene reads "Ron Lim's Herbals," which is a reference to artist Ron Lim, who penciled the Venom: Lethal Protector mini-series that much of the film is based on. And the apartment building Eddie lives in? That would be The Schueller Building, named for Randy Schueller, a fan who sent his idea for a black Spider-Man costume to Marvel in the 1980s, inadvertently providing the original inspiration for Venom in the first place. Nice! One of Venom's many funny moments is the sequence in the hospital when, separated from Eddie Brock, Venom is forced to use a tiny little doggie named Gemini as a host in order to survive. Sadly, we don't get to see Puppy Venom deliver any vicious puppy justice, as he quickly upgrades by claiming Eddie's ex-girlfriend Anne as his host instead. Talk about missed opportunities! But the brief appearance of the symbiote dog was more than just a quick gag. It's actually a reference to the comics, where not one, but two dogs have been turned into symbiotic monsters. One was Ivan the sled dog, while the other was a german shepherd named Samson. Both symbiote dogs proved that when it comes to pet ownership, good breeding does indeed matter, so if you suspect your pet has bonded with an alien killer, please consider getting it spayed or neutered. At the beginning of the film, it's mentioned that there are five alien lifeforms being brought back to Earth. One is Venom. One is Riot, who bonds with head jerkweed Carlton Drake. One is apparently Agony, the blue-ish symbiote who kills poor Dr. Dora Skirth before dying itself. And one is presumably Carnage, seen in the post-credits scene attached to serial killer Cletus Cassidy. But there's also a fifth symbiote who seemingly vanishes partway through the film: the yellow one that briefly bonds with a super cute little bunny rabbit. Exactly which symbiote this is and what happened to it are both mysteries, but while some speculate that the bunny might have housed the symbiote known as Phage, the smart money is on another yellow-tinted symbiote: Scream. 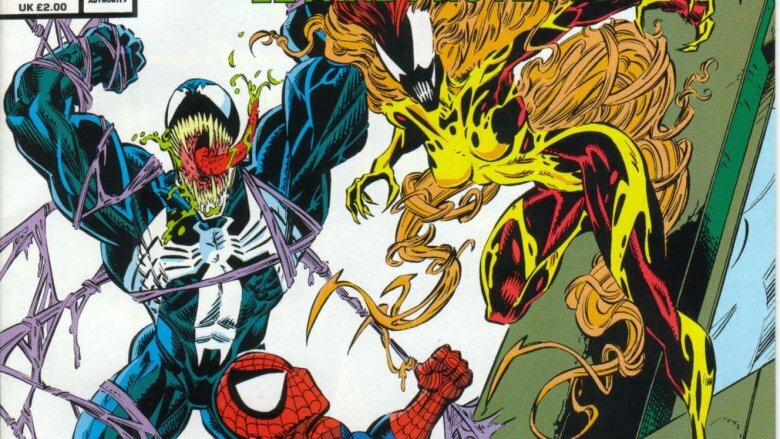 In the comics, both Phage and Scream were created by the Life Foundation, but Scream eventually turned on the others and killed all their host forms, believing symbiotes to be evil. 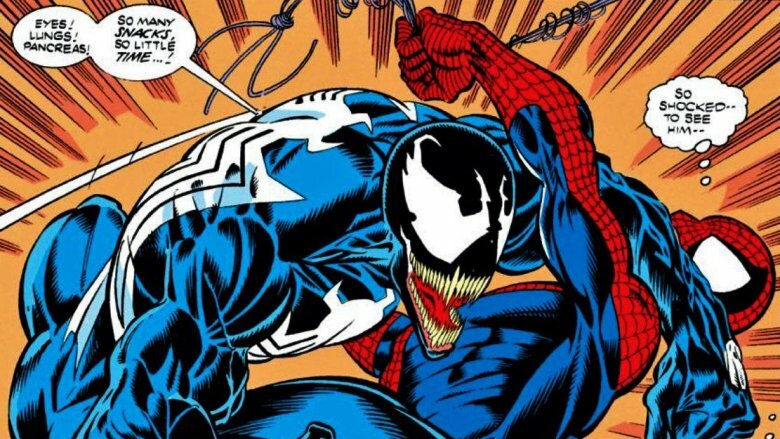 Given that the film seems to be setting up Venom vs. Carnage as the sequel, having a loose cannon like Scream at large and looking to eliminate both of them could be a fun and interesting twist. It's not just comic book fans that got serviced with in-jokes, as movie buffs also got their own callout thanks to the prominent use of the legendary Wilhelm Scream during the scene when Venom fights the SWAT team. First used in 1951 for the film The Distant Drums during a scene when a man was eaten by an alligator, the Wilhelm Scream is a sound effect that has appeared in dozens of films over the past seven decades. Named for Private Wilhelm, a character who gives this pained cry in 1953's The Charge at Feather River after being shot by an arrow, the sound effect was revived in 1977's Star Wars when a stormtrooper fell to his doom inside the Death Star. It subsequently became a tradition for Star Wars and Indiana Jones films, and then spread to everything from Reservoir Dogs and The Lord of the Rings to Aladdin and Beauty and the Beast.